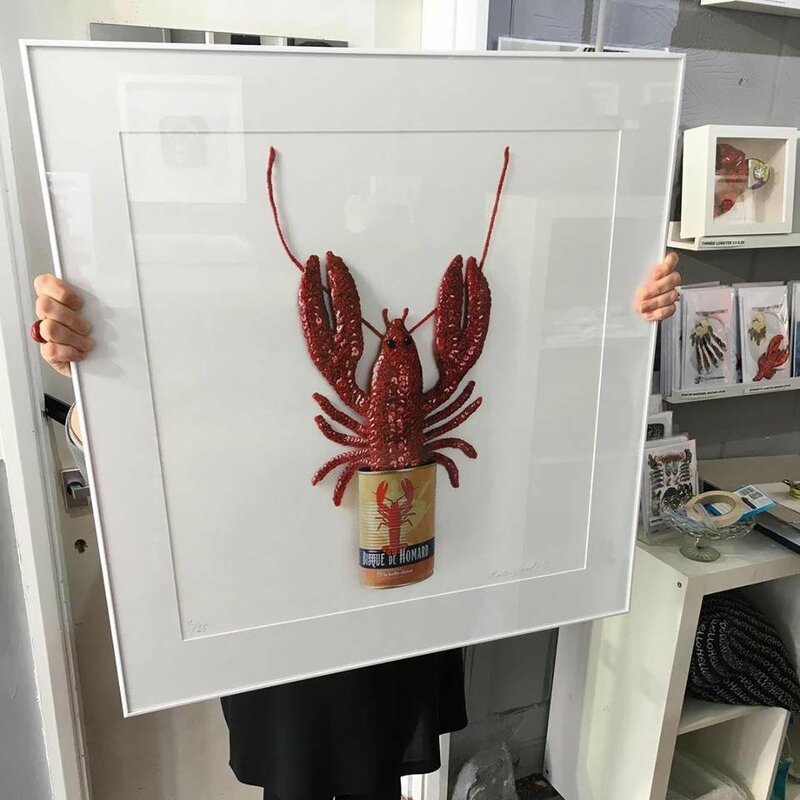 Kate Jenkins Studio, Brighton have very kindly offered to donate 10% of all sales from this limited edition print 'Tinned Lobster Bisque Print' to the National Lobster Hatchery. For more details and to purchase online please follow the web link below. Please do not order through our website.